The Traverse’s past, present and future centre on showcasing of the brightest and most adventurous playwrights from Scotland, and around the world. 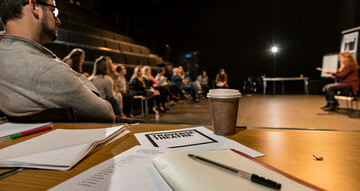 With each new season we present, we invite you to get under the skin of new writing in all of its forms, explore the journey from page to stage with us and experience exciting stories you’ve never seen before. 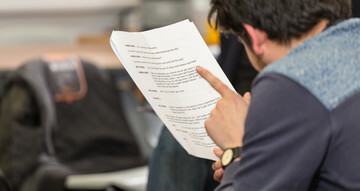 To keep our stages brimming with new theatre, we work with playwrights at every stage of their career; reading and feeding back on scripts, hosting play development workshops, commissioning new work, and providing one-to-one support are all part our day-to-day work. Every play was a new play once, every writer a new writer. I think the Traverse, perhaps more than anywhere, understands, nourishes and respects that.